Welcome to Episode #18 of the Dreams for Breakfast podcast! 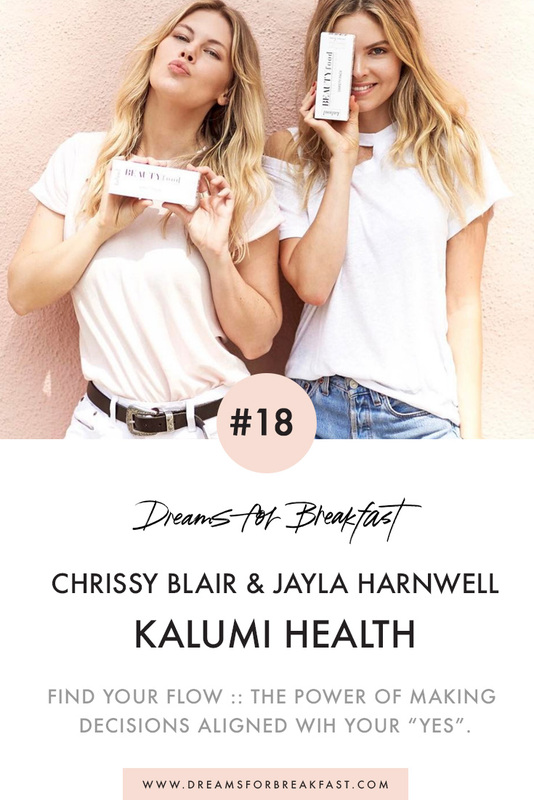 In today’s episode, I’m chatting with Chrissy Blair and Jayla Harnwell, who are the brains behind Kalumi Health and the creators of Beauty Bars - a new kind of protein bar designed to keep you fit, full and on the glow. So, they decided to do something about it and the idea for Beauty Bars was born. Each Beauty Bar has been specially formulated for delicious looking hair, skin and nails; and fortified with marine collagen peptides, sweet potatoes and yacon syrup. Kalumi has taken no shortcuts in creating an amazing and effective product: all of their ingredients are gluten free, non-GMO, non-dairy, soy free and fake free. How they came up with the idea for Beauty Bars and went about making their first initial prototypes. The process for launching the Beauty Bars including why it was so important for them to use marine collagen as the core ingredient. How they approached the design and branding of Beauty Bars to ensure they appealed to and attracted their dream customers. Working with and collaborating with amazing brands like Free People and how these opportunities came about.